On cue with the start of next week's Craft Brewers Conference, the Brewers Association released its 2018 industry growth report. There are some intriguing and also somewhat troubling stats contained in that report, if you read between the lines. Craft volume growth slowed down again last year, dropping to 4 percent from 5 percent in 2017. Growth has declined steadily in recent years after peaking at 18 percent in 2013 and 2014. Nonetheless, BA-defined craft increased its share of category volume to just over 13 percent. Look, it will be virtually impossible to return to the growth numbers of 2013/2014. For one, it's harder to achieve huge increases once you reach a certain size. Keep in mind that craft is competing with a growing list of other options, like spirits, cannabis and hard seltzers, and that the beer category itself is slowly shrinking (down 1 percent by volume last year). The good news is that craft dollar share rose to an estimated $27.6 billion last year, representing a 24 percent market share and 7 percent increase over 2017. It's a little scary, though, because it appears small, fast-growing breweries are responsible for almost all of that. Think four-packs of hazy IPA in wrapped cans selling for $20 direct to consumers or in specialty stores. Indeed, with so much growth coming from up-and-comers, many of the big regionals continue to suffer. Harpoon, Boston Beer, New Belgium, Deschutes and Brooklyn Brewing, among others, were all down. That trend began a decade ago and shows no signs of abating. The share of craft volume produced by the largest 39 breweries in the country declined from around two-thirds in 2008 to half in 2018. Virtually all 2018 volume gains came from the other 7,200 beer makers (source). The small brewery phenomenon is clearly causing significant disruption. In fact, the independent regionals are stuck in the middle, struggling to get traction with the crowd that seeks speciality beers in taprooms and being knocked around in retail by the Baby Buds, many of which showed big growth last year. This scenario is going to create further instability moving forward. One of the most-often touted Brewers Association stats is the brewery count. 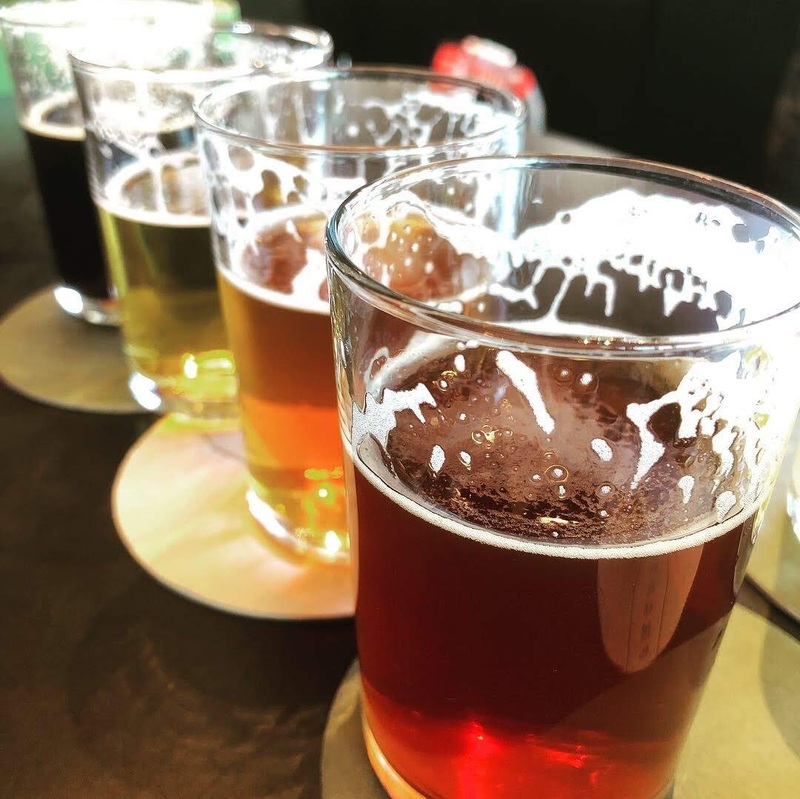 We ended 2018 with a record 7,346 breweries (brewpubs, micros and regional breweries). The number has continued to creep upward over the last decade. The overall count grew by 1,049 last year, a slight increase over the 951 that opened in 2017. How many is too many? No idea. Closures are a less popular stat at the Brewers Association. There were 219 closures in 2018, an increase from 165 in 2017. Openings are still happening at significantly higher rates than closures, though it pays to watch the latter number. As the landscape gets more crowded, we should expect to see the closure rate ramp upward as a percentage of openings. There are still parts of the country that are woefully underserved, typically in the suburbs and rural areas. There's decent potential in those places. Craft heavy areas, like Portland, are so overcrowded that the closure rate is likely to increase there. It's hard to know exactly what that looks like, but the closures of Bridgeport, Burnside, Alameda, and the Widmer and Portland Brewing pubs, may be instructive. Don't expect openings to drop off significantly anytime soon. Craft beer's cult of personality means there's an almost endless number of optimistic souls who want to open their own brewery. Whether these folks open in underserved or overcrowded areas, their success will depend on their ability to do a lot things well. The era of the successful amateur owner/brewer is over and out. Looking at the landscape, true craft appears to be decentralizing. Its current strength is coming primarily from smaller breweries that sell directly to consumers and in specialty stores and bars. If you're a regional brewer, you're mostly locked out of any meaningful place in that scene, while also being squeezed out of mainstream distribution. It's not a pretty picture for most of the big guys. An obvious result of the current situation is spectacular brand churn. Smaller locals have built their following around revolving new brands that often come and go within weeks or months. Consumers want something new every time they drink or shop. Established, long running brands have no future in that scenario, a big problem for awkward regionals. It's beyond ironic that iconic brands like Sierra Nevada Pale Ale built the foundation for what we have today. Oh well. A less-appreciated result of industry decentralization is the evolving demolition of traditional beer media. The small breweries driving growth have embraced social media as a means of reaching consumers and creating buzz. Larger breweries that once supported traditional media are struggling and backing away, producing a significant shift from a few years ago when it was fashionable to support print publications. It's not at all clear that this shift matters. Reading has become such a lost art that the loss of BeerAdvocate, the Oregon Beer Growler and similar publications may not matter so much. Beer consumers are apparently comfortable getting small snippets of information from social media on their mobile devices, as opposed to more detailed presentations. We'll have to wait and see how that pans out. A lack of quasi-objective content may not be an issue. Or it will be. All in all, these are fairly volatile times in craft beer. The sky isn't necessarily falling, but there's significant uncertainty on the road ahead.